Easter travel tips for a stress-free car trip! Whether you’re taking a long road trip or travelling to the airport to jet off for some Easter sun, the car journey can be a stressful experience; but pre-planning can help avoid those niggling frustrations! It’s one of the elements of all trips that unfortunately you cannot plan…but you can be prepared. If you’re travelling through sunnier climes, it’s a good idea to carry plenty of water and ensure you have sun shades in place if driving with children. If the forecast is predicting potentially hazardous travel conditions, such as snow - and you really must travel - it’s a good idea to keep extra warm clothes and footwear handy…as if you didn’t have enough to pack into the car! 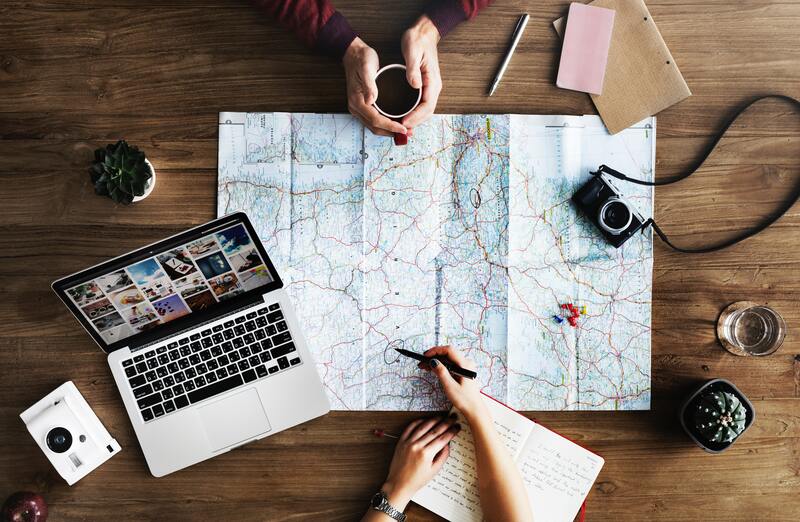 Your technology gadgets can serve many purposes whist travelling, especially if you have young children in-tow, so ensure you pack all the accompanying accessories and chargers. Power banks are a great extra to have in your bag for those battery blackouts! You didn’t think we’d forget to mention pre-booking your parking, did you?! Of course, one of the most effective ways to relieve travel stress is to ensure you have a smooth transition when parking your car – whether that be in the city centre, at the airport, the train station or even port side. Reserving before you travel is not just convenient, it can save you money…so you have more to spend on chocolate eggs! If I’s not something you’ve tried before, have a browse on our home page for airport parking, city parking, port parking, station parking or hotel parking! As well as prepping yourself for the journey, you also need to make sure your vehicle is in top working condition! As we’ve mentioned, the weather can be unpredictable, so ensure you have plenty of fuel, your wiper fluid is topped up and your air conditioning and heaters are all road-ready. If you’re travelling a particularly long distance, it’s a good idea to also check your oil and tyre pressure too – just in case. If you’re travelling with children, then taking a break will probably be inevitable, but in any case, rest and refreshments are always a good idea if you’re driving for any longer than 30 minutes at a time. If you know you’re going to be in the car for long periods, ensure you leave enough time to stop for a break and keep essentials in the car to keep you alert…sweets are essentials, right? Another great tip that can keep you focused on the road but can also be entertaining for the whole family, is a commentary drive. A commentary drive is a technique used by the emergency services whereby you describe everything that’s happening on the road around you that has the potential to affect the way you drive…an informative eye spy, some may say! Wherever your Easter break takes you, we hope you have a cracking time!